Last weekend Botcon 2013 was held in Austin, Texas. On the whole no major news. Hasbro was on hand to hint at their toy line-up for the next few months and used the panels to to tease future plans like Generations 2014 and 30th Anniversary collection. IDW spoke about their already solicited comics but no major revelations. Hasbro bans 3rd party makers from the convention but that didn't stop a few from showing off their wares. 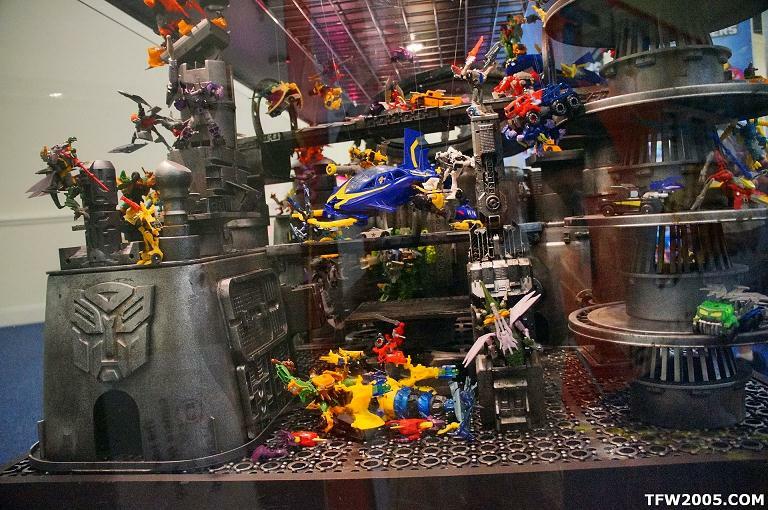 Transformers 4 wasn't covered at all so nothing new to report on the toy front. Hasbro did show off their Beast Hunters line up but as the links below indicate, "repaint" is the norm rather than exception but the Generations line is looking awesome. Below are summaries of info and links to lots of galleries put together by other Transformers sites that were able to attend the convention. 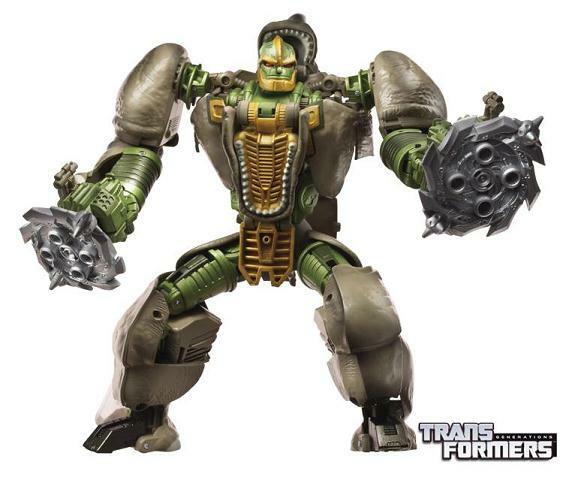 Update: Some TF4 toy news thanks to an interview with Hasbro's Joshua Lamb (starting at 24:05 point) from TF reviewer Vangulus indicates that discussions with Michael Bay on toy design indicates a goal of trying to simplify for faster transformations to try and mimic the movies (and cartoons) where characters transform and "engage to the action fast." The scaling of legion class Beast Hunters to deluxe size is an experiment towards simplification but TF4 toys deluxe are being designed from scratch. The interviews with two Hasbro managers discussing the toys and Hasbro's future approach can be found here. Panel held that showed off, via slideshow, some of Hasbro's 2014 plans for Transformers Prime, Generations and Construct-o-Bots. Summary below from here and here. - Generations and Beast Hunters upcoming releases covered in sections below. - Transformers Hall of Fame fan choice winner was Beast Wars Megatron with 34% of the vote. Ultra Magnus also entered into HoF despite 19% of vote. - Fan built bot winner was an Autobot jet. Design still being developed. - Future Transformers Prime (most coming out in 2014) is taking a "back to basics" approach with larger mold but much more simplified transformation. - Lots of Construct-o-Bots set planned for next year. - Create custom Kreons using a 30+ packs of pieces. - Rattrap may show up in issue Robots in Disguise #20, Issues 21 and 22 start off Shockpoint series leading to Dark Cybertron story arc. - Dark Cybertron story will bring together the RID and More Than Meets the Eye cast together for 1st time since both series started. Will be a 12 issue arc, six per series. Starts with Dark Cybertron one-shot. - The rest is stuff already revealed in either just released comics or solicitations through August. - Images from panel is here. Panel discussion on mostly non-comic book related stuff produced for Transformers. - 30th Anniversary pop-up book coming with lots of G1 characters. Multiple books planned, takes about 6-12 months to write and design then another 2-3 months to build by hand as didn't use a computer to engineer the pop-ups. - 30th Anniversary comic collection covers all eras of comics from Hasbro to IDW. 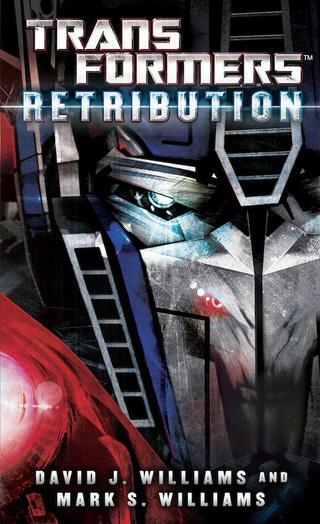 - Transformers: Retribution is final novel in Transformers video game story line. Seems story starts from from end of Fall of Cybertron with Ark vs Nemesis fight, Quintessions, and more. - A chapter preview from Retribution can be read here. - Covenant of Primus tells the story of the Golden Age of Cybertron before the TF civil war. - Diorama Display: Hit link for a look at a huge Beast Hunters diorama that was on display that is full of eye candy for BH fans. 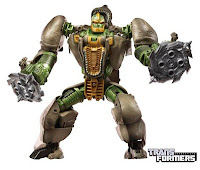 - Botcon BH Display 1: Hit the link for images of the next six months or so of waves for Transformers Prime Beast Hunters line. - Botcon BH Display 2: Another wave of images. - Legion Class: Official images of Bluestreak (Smokescreen repaint), Divebomb (Windrazor), Rot Gut (Blight repaint), Ace Vehicon (repaint). 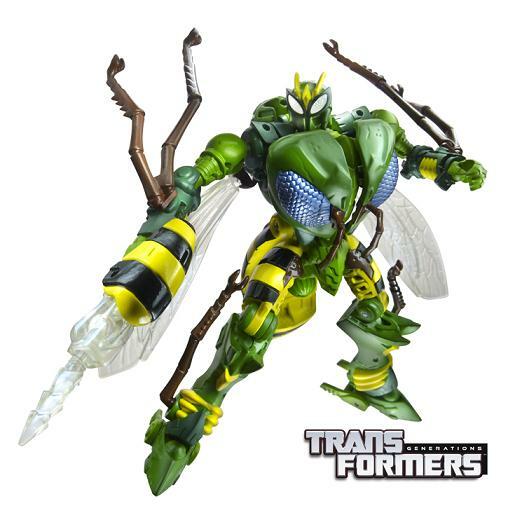 - Deluxe Class: Official images of Bumblebee, Smokescreen, Twinstrike, Windrazor. I think modified molds with simplified transformations. - Voyager Class: Official images of Optimus Prime, Predaking. I think these are modified molds with simplified transformations. 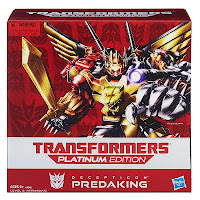 - Predacons Rising: Target exclusive sub-line that repackages and repaints some of the legion and commander class figures. - Botcon Display: Gallery of pics for the Beast Hunters toys. 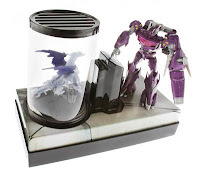 - Collection of 30 toys from various eras of Transformers that will be periodically released over the next year and a half in Platinum edition boxes that will be numbered which of the 30 that item is. - The current announced line up is #3 = Platinum TF Prime Ultra Magnus, #4 = W4C Grimlock vs W4C Bruticus, and #10 = Platinum Predaking so still have 27 more to be named. - Titans Guardians action figure set ($40): Five non-transformable 6" tall figures of Optimus Prime, Megatron, Starscream, Soundwave and Grimlock. - Shockwave's Laboratory ($50): Voyager Shockwave (with G1 paint scheme) with translucent commander class Predaking in lab tube. - Metroplex SDCC Edition ($150): The Generations Metroplex in special SDCC packaging, two giant blasters, metallic coated armor, chrome foil stickers, and 12 Autobot and Decepticon non-transformable figures for the city mode. - GI Joe/Transformers Jetfire and Hound Set: Repaints the GI Joe jeep and jet with Hound and Jetfire deco. 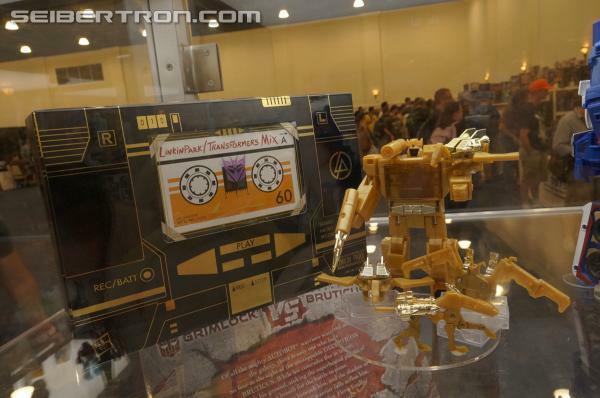 Includes with Baroness with non-transforming Ravage and tiny Blaster in cassette deck mode. - Prototypes: Gallery of prototype designs from Perfect Effect, Planet X, and more. - not Cerebros: Prototype a new headmaster that is based on the look of IDW's Fortress Maximus. In G1, Cerebros' alt mode is Fortress Maximus' head. - not War for Cybertron Swoop: Another prototype from Planet X that takes on the video game versions of the Dinobots since Hasbro isn't. 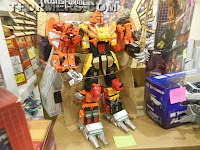 - Feral Rex Warrior: From Mastermind Creations, a look at their not Predaking combiner prototype. - Mastermind Creations Azalea: Below is a video that takes a look at the robot mode for 3rd party toy based on IDW's Arcee (the crazy, super dangerous one). Since a prototype, it doesn't show off the alt mode but still enough to make me very interested. - Toy Displays I | Toy Display II: A look at bunch of different toys on display. Keep in mind that "Platinum Edition" is the Hasbro version of Takara's "Year of the Snake" items for some of the images. 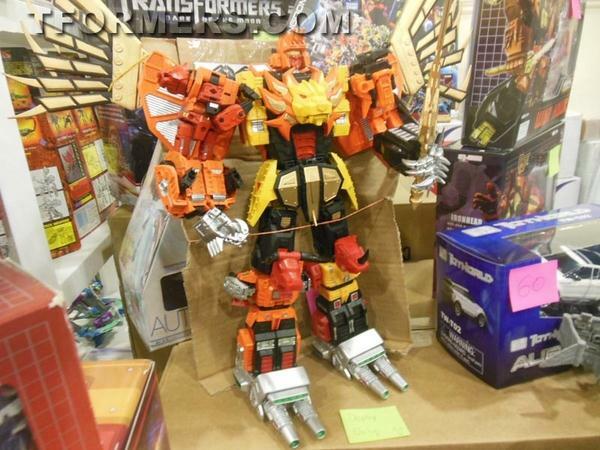 - Dealer Room: Huge gallery that shows off the multitude of TFs that were on sale at Botcon. If I were rich, I would just have an absolute field day in there with a moving truck waiting. - Kre-O Display I | Kre-O Display II: Galleries of upcoming Kre-O sets and Kreons including Defensor, Piranacon, and Abominus. 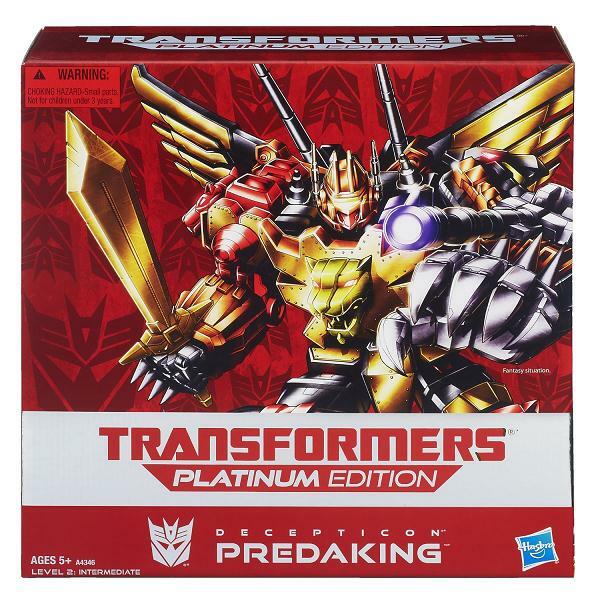 - Linkin Park Soundwave: Re-issue of G1 Soundwave and his cassettes in gold deco with special edition packaging. I guess the gold emphasis is a reference to gold record certification with selling at least a million of something (album, single, etc.). - Masterpiece Acid Storm: Toys R Us exclusive, repaint of the 2.0 Starscream mold. Supposed to start selling (at least online) on July 18th for $75. - Rescue Bots Display: Gallery for their display. It was in Texas, wink wink. Do not anger the crazy webmaster. It was held in San Diego, California.